Oh, Vancouver. Hailed as one of Canada's most livable cities, it's no wonder explorers strive to be based here. The downtown core itself lies adjacent to a massive playground of greenery, flanked with sandy, swimmable beaches. Vancouverites are known as outdoorsy people—cyclists and runners speckle the seawall year-round. But of all the adventurous pursuits to partake in around here, perhaps hiking is the most esteemed. Depending on snowfall and spring weather, hiking season can be limited to June through October. In the late spring, trails may be partially covered with snow, making them slippery, mucky and dangerous. It's important to keep in mind that despite city views on the horizon, many of these trails are in the backcountry. In summer, approximately three to five rescue calls are made each weekend by lost, injured or stranded hikers. Proper precautions should be taken before you set out: research your hike, dress appropriately, tell someone where you are going and when you expect to return. Now that you're adequately briefed, here are 20 of the best hiking trails near Vancouver, British Columbia. 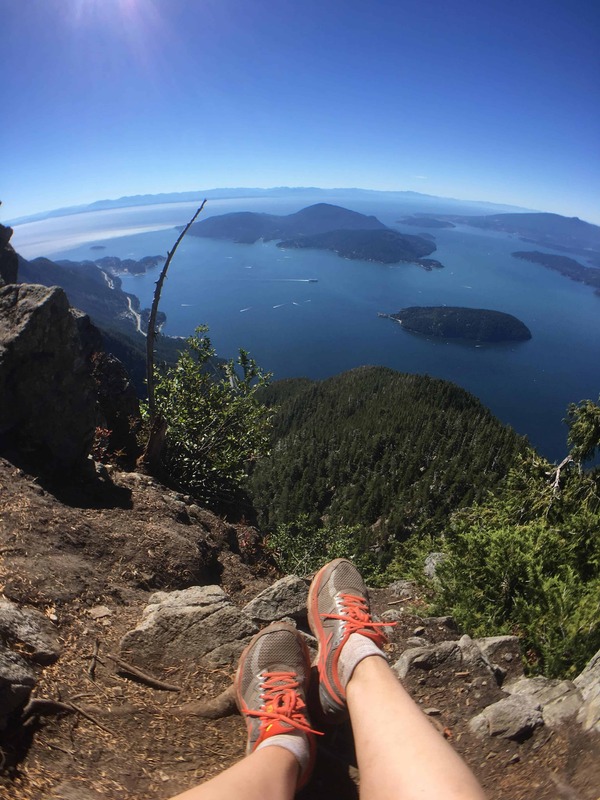 On clear days, the summit of this hike offers unparalleled views of Howe Sound. Even on overcast days, you’ll feel like a conqueror above the clouds. The trail first follows ski runs with steep and rocky sections, before heading into a pretty forest. Continue along before gaining some elevation over a steep set of switchbacks. The forest eventually thins out before you reach St. Mark's Summit. 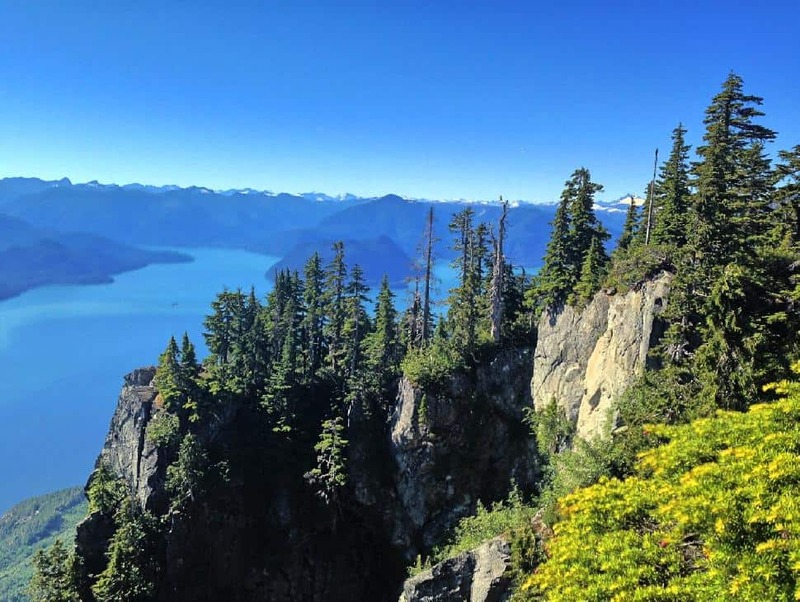 Note: hikers will not find clear signage for St. Mark's Summit; it is a lookout located along the Howe Sound Crest Trail. However, the Summit is marked with a sign post, so you won't miss it. How do I get to St. Mark’s Summit trailhead? 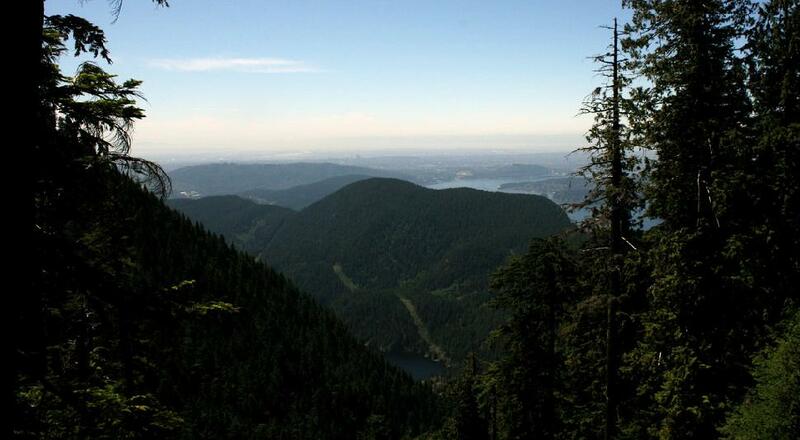 This hike starts at the Cypress Mountain parking lot. From here, walk toward the Lion’s Express chairlift. Follow sign posts for Howe Sound Crest Trail. Shortly thereafter, you will encounter a sign post that says Howe Sound Crest Trail east and west. It does not matter which you take; these connector trails deposits you on a gravel road. At the junction, walk left; the road will narrow and you'll enter the woods. Another 20 minutes or so later, you'll reach an official Cypress Provincial Park map, which will point you in the right direction. This trail begins with a grueling ascent to Cabin Lake, which you can jump in to cool off. Continue along the Baden-Powell Trail to a rock scramble along the bluffs. Ensure you wear proper hiking attire and appropriate shoes. How do I get to the Eagle Bluffs trailhead? Park in the unpaved lots and then make your way on foot to the downhill ski area. Pass the green Olympic rings and the lodge. Head to the Eagle Express Quad Chairlift and find the trailhead just a few paces away. Access the bluffs by climbing Black Mountain. A few metres down the trail you’ll find a BC Parks signpost. Go left and starting hiking up, up, up. 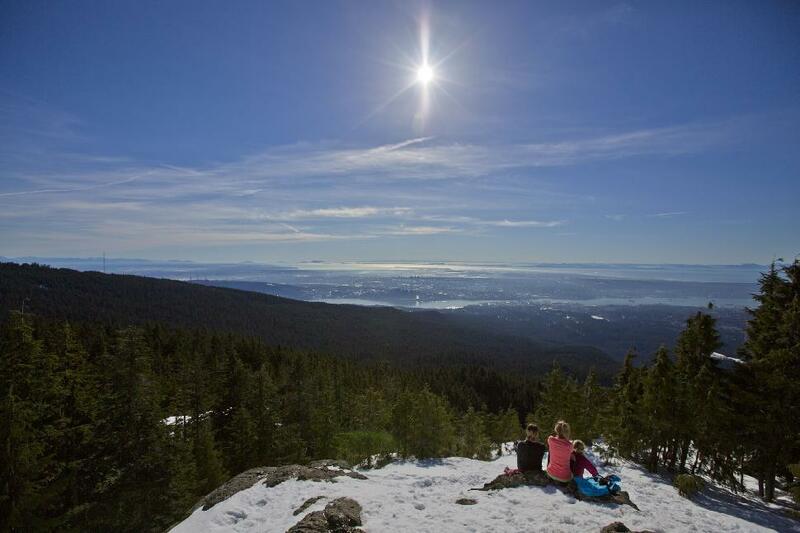 You’ll be greeted with a stunning view of Metro Vancouver at the top of Dog Mountain. Although it’s a glorious sight any time of day, in our opinion, the sparkling city is most striking at night. 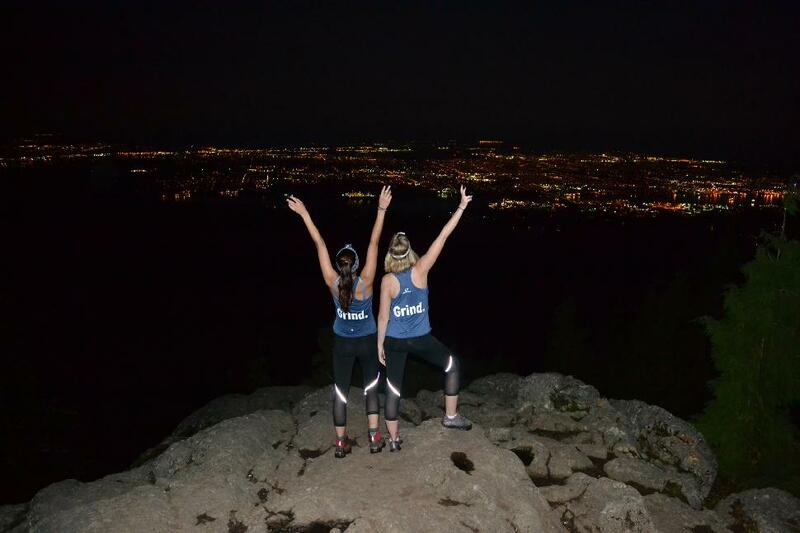 However, the trail can be muddy, slippery, rocky and rooted, so if you do venture out for a night hike, don’t forget your headlamp! In winter, Dog Mountain can be done on snowshoes. But in our opinion, it's pretty miserable after rainfall or during spring melt. Jennifer HubbertHow do I get to the Dog Mountain trailhead? This trail starts at the northern point of the Mount Seymour Ski Resort main parking lot. 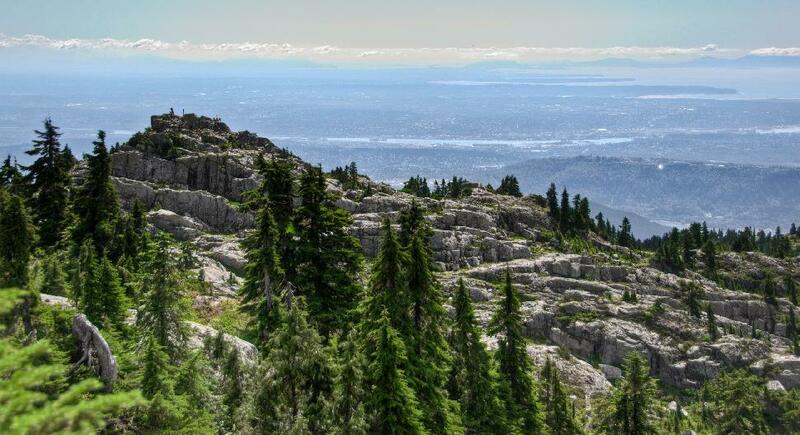 This trail crosses three peaks that offer gorgeous views: First, Second and the final summit of Mount Seymour. This popular, dog-friendly trail can be crowded on weekends and sunny days, but the final panorama is worth sharing. It's tiring but not too technical. Also worth noting: the trail may feature compact snow well into July. How do I get to the Mount Seymour trailhead? From the end of the Mount Seymour Ski Resort parking lot. Follow the wide gravel service road that runs up beyond the chairlifts. The road will wind behind a large hill and if you follow it to its terminus, you'll end up at the trailhead. Trail signage in the ski area is poor and no doubt, hikers will run into others looking for the trailhead. Just keep going! This long, rugged trail crosses the North Shore mountains and branches off in several spots. 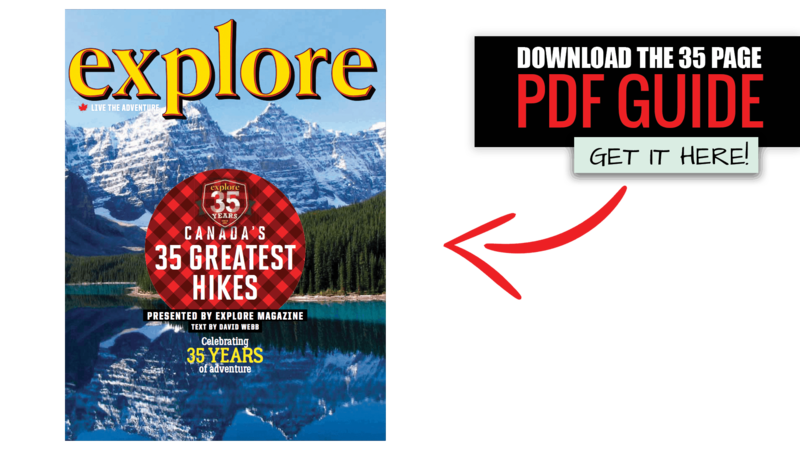 Although some extreme hikers and runners tackle the entire length in the Knee-Knacker Race, it’s more common to choose a section of the trail to complete, such as Lynn Canyon Suspension Bridges or Black Mountain. 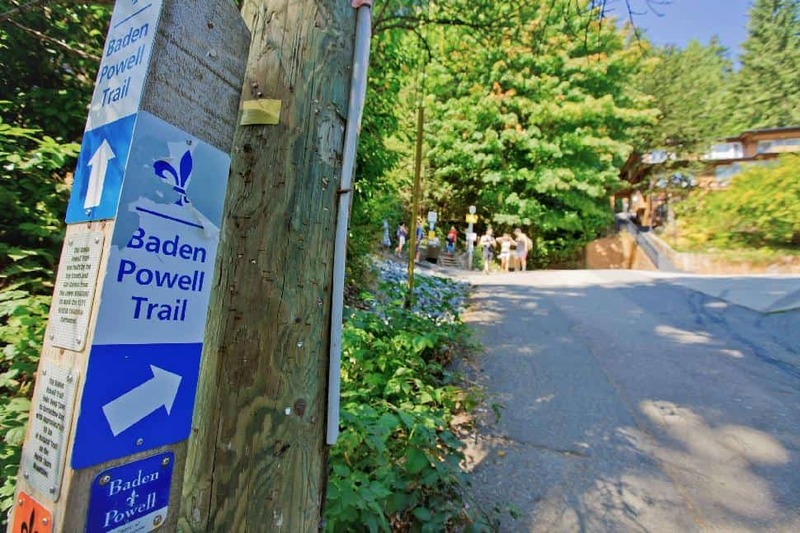 How do I get to the Baden Powell trailhead? This trail stretches from Horseshoe Bay to Deep Cove. There are trailheads throughout. Weave through dense forest, cross creeks on wooden bridges and plop out on top of a smooth rock surface for gorgeous views of Deep Cove and the Indian Arm. 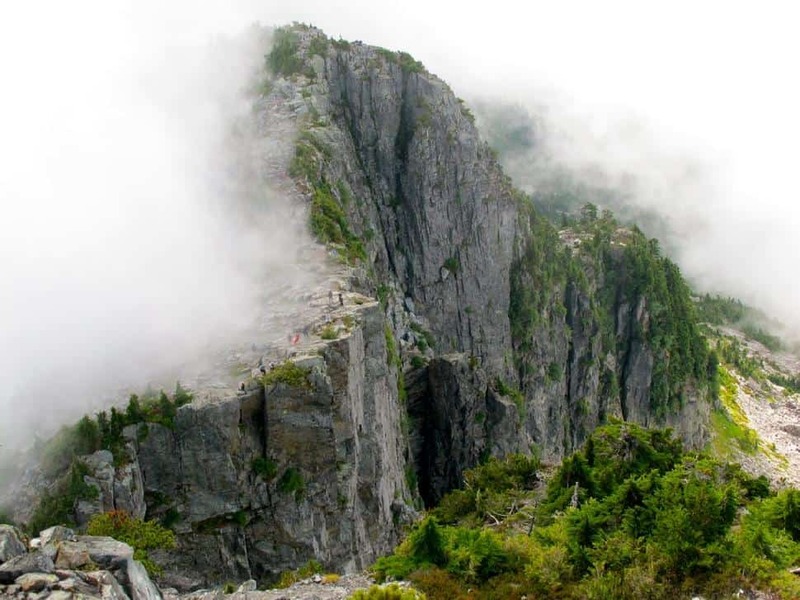 Although there are some steep and rocky sections, this trek can be completed by nearly every level of hiker. Stop in at Honey's Doughnuts for a mouth-watering trail treat to enjoy with those views. How do I get to the Quarry Rock trailhead? The trailhead is along Panorama Drive in Deep Cove. It's actually part of the Baden Powell Trail. Parking can be tricky on weekends. If you’re looking to seriously stretch your legs, then let The Lions challenge you. 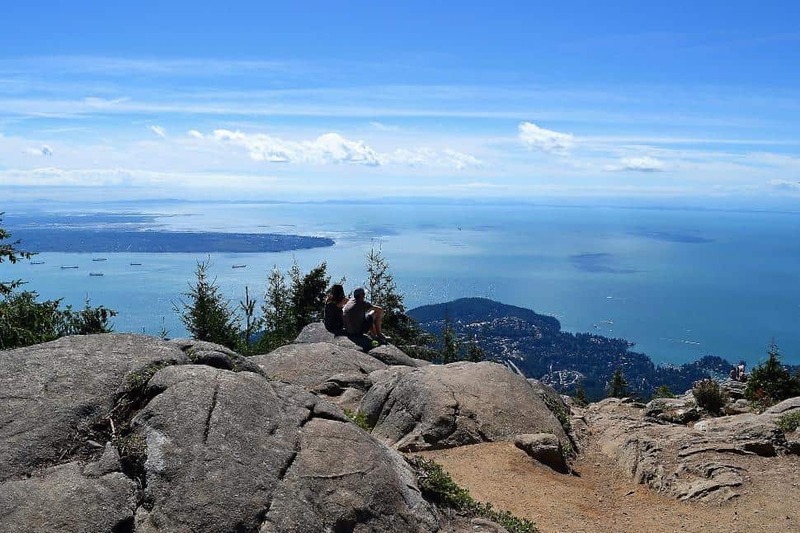 These iconic twin peaks overlooking Vancouver are lovingly known as East and West Lion, and are probably on the bucket list of every North Shore hiker. This is an in-and-out hike along the same route, which will deposit you back at your vehicle. Hikers without climbing skills need not reach the summit to enjoy hiking the Lions. Despite being a popular trail, be sure to wear or pack layers, plan for changing weather, and bring food and water. How do I get to The Lions trailhead? Head for Sunset Drive, Lion's Bay. Go early as the designated lot fills quickly. If the lot is full, turn around and backtrack to the elementary school. This area is patrolled and towed vehicles will be taken to North Vancouver! Diez Vistas means 10 Views, and that’s exactly what this hike offers. Tracing the shoreline of Buntzen Lake, the trail meanders through Indian Arm Provincial Park and overlooks Burrard Inlet and the North Shore. This area is maintained by BC Hydro. How do I get to the Diez Vistas trailhead? Start walking along Buntzen Lake Trail and continue past the Diez Vistas sign. Lynn Lake doesn’t have the same turquoise-tinted waters as others on this list, but the trail itself is worth the trek. Cross streams, bypass boulders and ditch the crowds on this long, difficult trail. Be sure to check recent conditions before attempting this hike. How do I get to the Lynn Lake trailhead? Follow the directions on the sign at the Lynn Headwaters Regional Park parking lot. Climb through evergreen trees, stopping at several viewpoints to catch your breath. Only a 30-minute drive from Vancouver, this trail is quieter than nearby, more popular treks, but yields similarly stunning views on clear days. How do I get to the Lynn Peak trailhead? Park in Lynn Headwaters Regional Park and begin the hike from the signboard near Lynn Creek. Large cedar and hemlock trees, switchback trails and old logging equipment line the Lynn Loop trail. Hikers will cross Lynn Creek to complete this short, dog-friendly loop. How do I get to the Lynn Loop trailhead? This trail begins at Lynn Headwaters parking lot. If you like to chase waterfalls, this hike is for you. Branching off the lush Lynn Loop trail, this trail can often be wet and muddy, making it dangerous for unprepared hikers. When you hear rushing water, you know you’re close to the majestic waterfall. 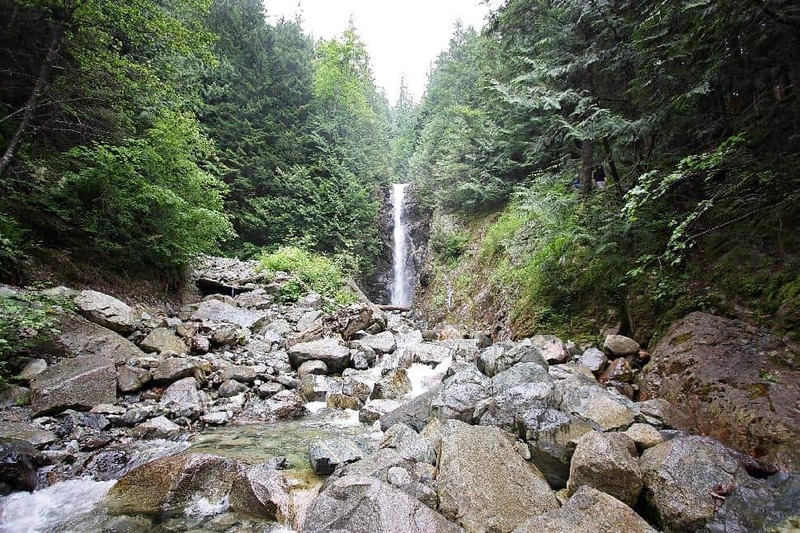 How do I get to the Norvan Falls trailhead? This trail begins at Lynn Headwaters parking lot. 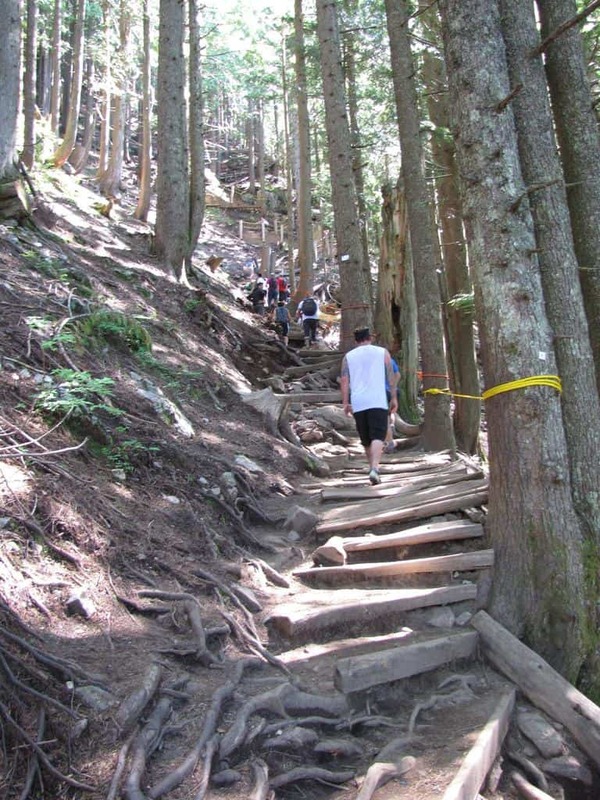 One of the most classic Vancouver-area trails, the Grouse Grind is really just a staircase up a mountain. Over 2,800 steps lead to a panoramic view of the city, where you can visit a grizzly bear refuge and treat yourself to a Beavertail (you deserve it!). The Grind is a heavily trafficked one-way trail; you’ll have to take the gondola or the nearby dog-friendly BCMC back down. How do I get to the Grouse Grind trailhead? From the parking lot at the base of Grouse Mountain, east of the gondola. There is an official Grind Timer if you’re hoping to beat the record: 25 minutes and one second. We’ve all heard about the Grouse Grind and the neighboring BCMC, but the real joy on Grouse is found in the backcountry. 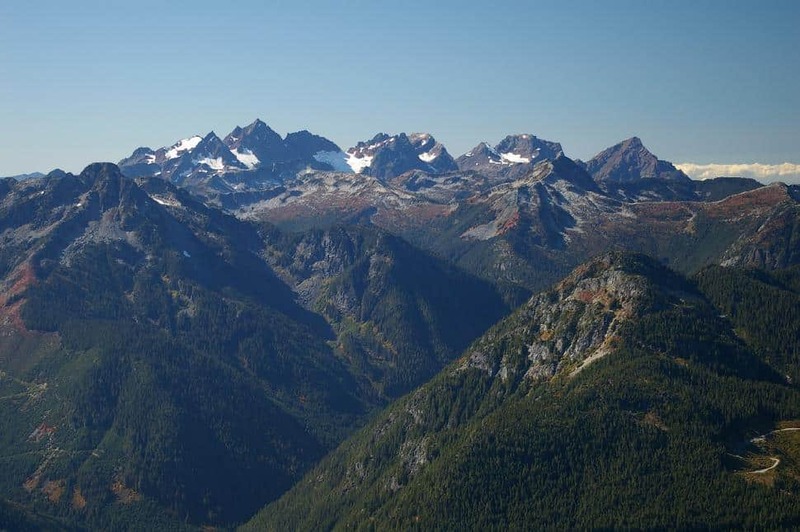 Skip the grunt and take the gondola to the top; you'll need the energy to hike Crown Mountain. Take caution - this trail will be snowed in most of the year (outside of July to October). How do I get to the Crown Mountain trailhead? 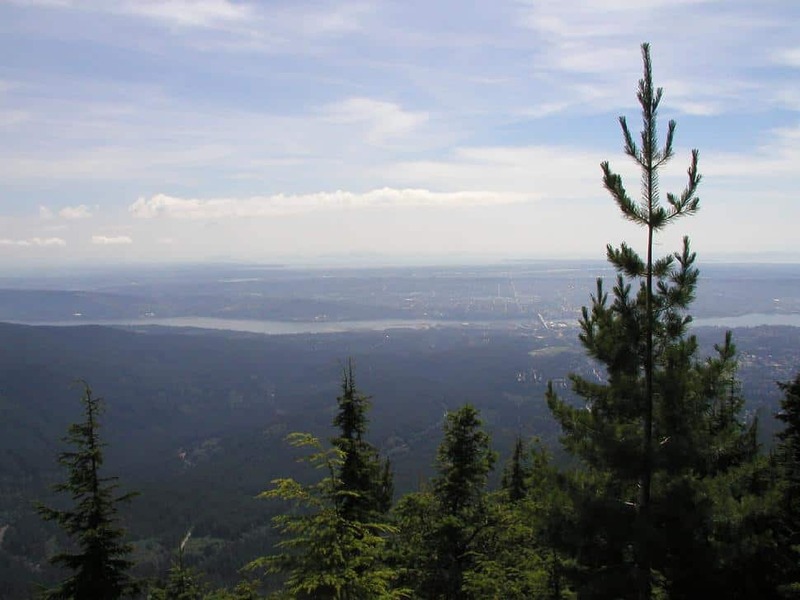 Start this hike on Grouse Mountain, behind the grizzly enclosure towards the ski runs. 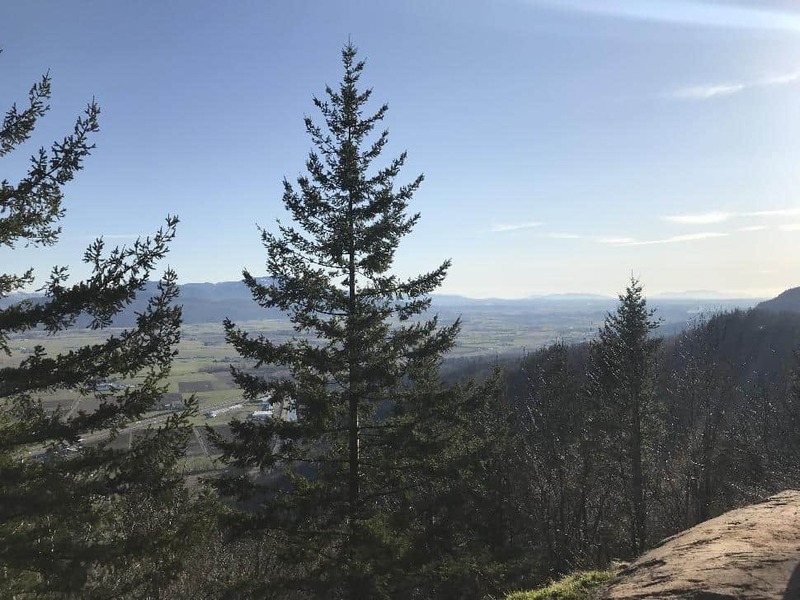 Significantly less steep and crowded than its counterpart in North Vancouver, the Abby Grind is a short, steep and sweet trail that leads to an open rock face and gorgeous views over nearby farmland. Quarter-mile markers encourage you on your way up the dirt path (no stairs!). The only thing that will break the rustic tranquillity is boom's from the nearby gun range. How do I get to the Abby Grind trailhead? You’ll find a well-marked dirt parking lot east of Abbotsford just off Highway #1. 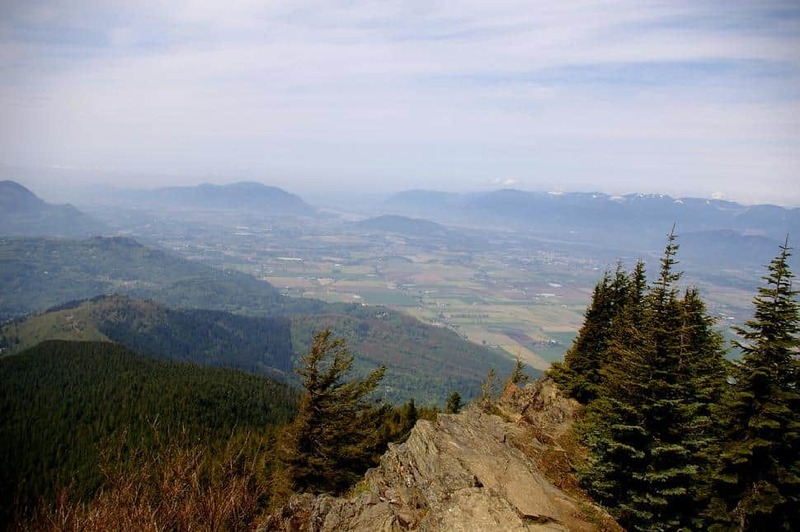 Hike above the clouds as you ascend Mount Cheam, near Chilliwack in the Fraser Valley. You’ll be treated to gorgeous views the entire way, including a fresh look at massive Mount Baker, panoramic views of Lady Peak and unfolding fields of stunning wildflowers in the summer. How do I get to the Mount Cheam trailhead? Follow Google maps directions to the small parking lot located along Chilliwack Lake Road. It’s a rough and bumpy, so a four-wheel drive is recommended. Steadily climb through the forest to the first viewpoint, which offers an incredible view of Cultus Lake and the Fraser Valley. Hike on a clear day and at the summit, you’ll be able to see even further, into the United States. How do I get to the Elk Mountain trailhead? Driving towards Hope, take Exit 123. You’ll find the trailhead down Elk View Road. Aptly named, this trail leads through a forest of massive cedar trees to Kennedy Falls. The waterfall slides down dark rock beautifully, especially after recent rainfall. The trail is rated “Challenging” because of technical aspects and unclear markings that lead to multiple search-and-rescue calls every year. How do I get to the Big Cedar and Kennedy Falls trailhead? This trailhead is located at the Old Mountain Highway gate near the Baden-Powell Trail junction. Take the ferry from Horseshoe Bay to Bowen Island for a taste of island life. You don’t need a car for this hike: bus to the ferry and walk from the dock to the tranquil trail that circles Killarney Lake. How do I get to the Killarney Lake trailhead? Starting from the ferry terminal, turn right onto Cardena Road and continue onto Killarney Creek Trail. This gorgeous, short trail is a favourite for overnight hikers and day trekkers alike. But don’t be fooled by the km’s: it’s still a tough trail. 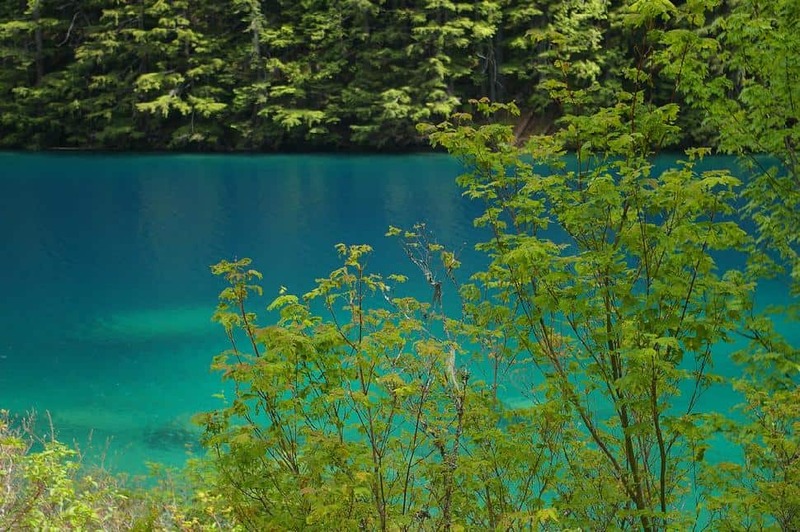 Lazing next to Lindeman Lake’s stunning turquoise waters is so worth the effort. How do I get to the Lindeman Lake trailhead? Park in the Post Creek parking lot. Caution: smashed windows and break-ins have been reported by hikers who parked in this area. Do you love hiking around Vancouver? Which is your favourite trail? PS. Did these 20 awesome hikes inspire you to get outside and live the adventure? 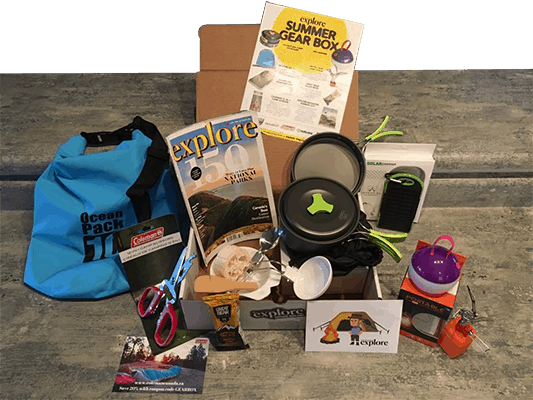 We want to send exploration inspiration, outdoors challenges and adventure gear right to your front door. 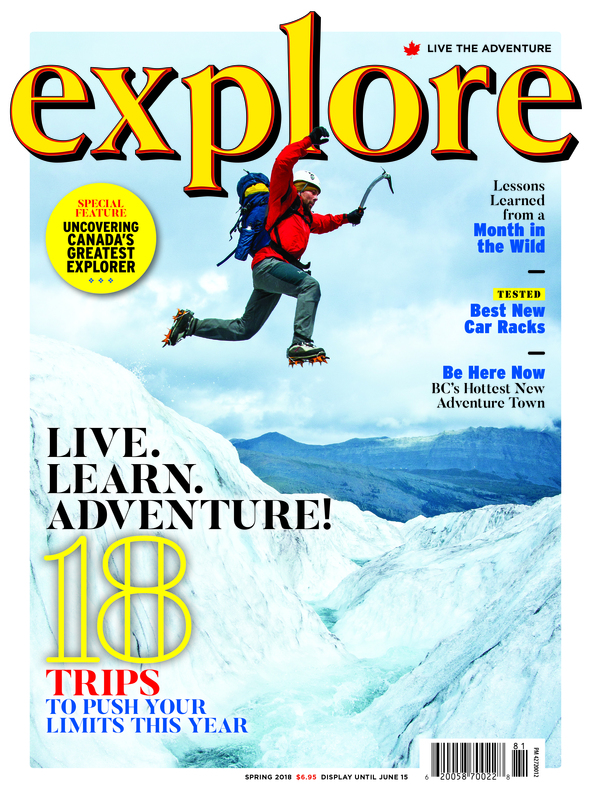 Join over 3,000 subscribers across North America in explore magazine's “Live the Adventure” Club. 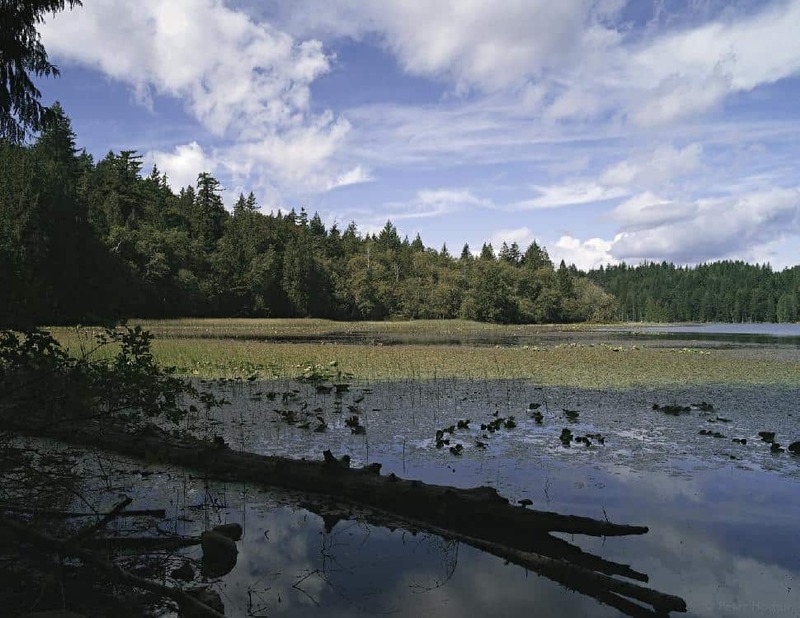 25 trails that offer sublime views, wind through old growth forests & along wild shores. 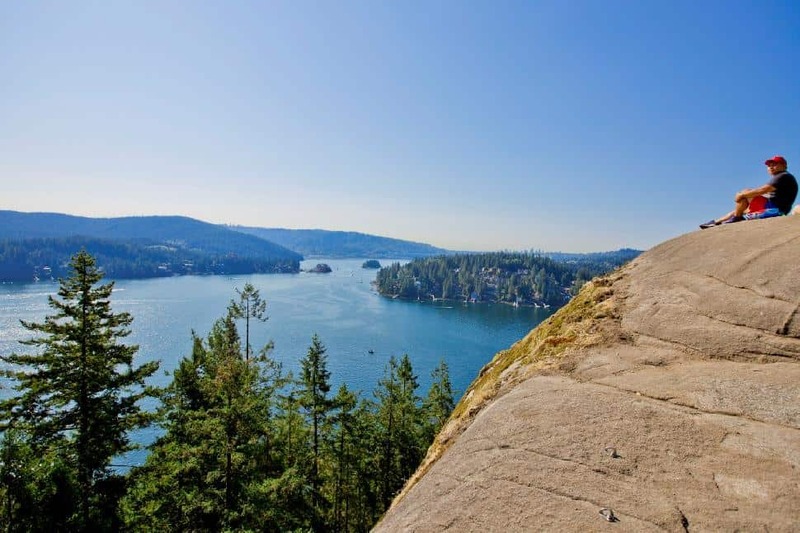 Vancouver is home to some of the most spectacular hiking trails in Canada. Here are 7 coastal routes you don't want to miss.